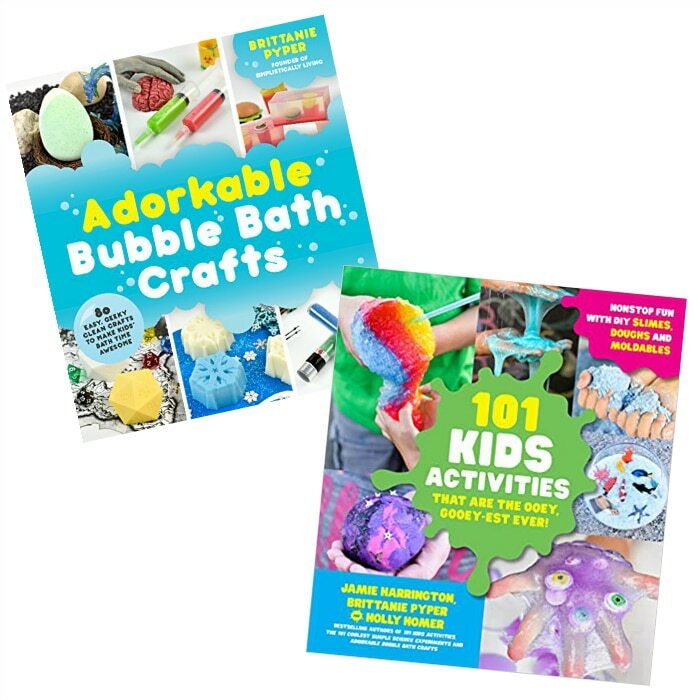 As Valentine’s Day nears it’s start to start thinking of fun things you can help your kids make for their Valentine. 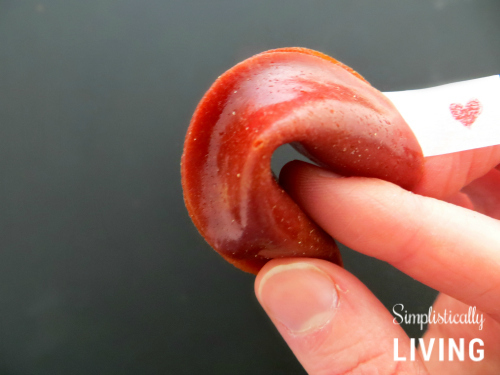 These Fruit Roll-Up Fortune Cookies are kid-friendly, fun to make, and certainly tasty! 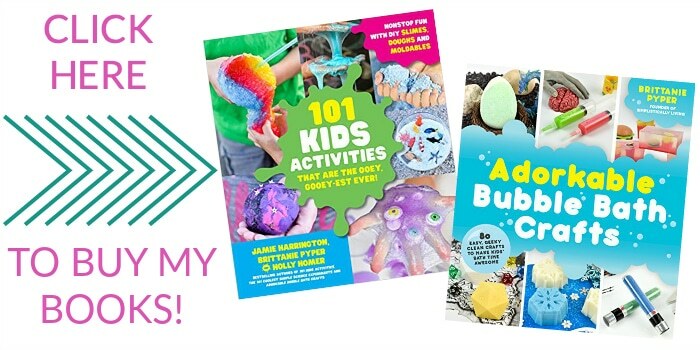 Whether you are making these for your child’s class or for your significant other, these are a fun and personalized way to share your feelings. The best part is this is so inexpensive. With just a few supplies you can make anyone feel special this Valentine’s Day. 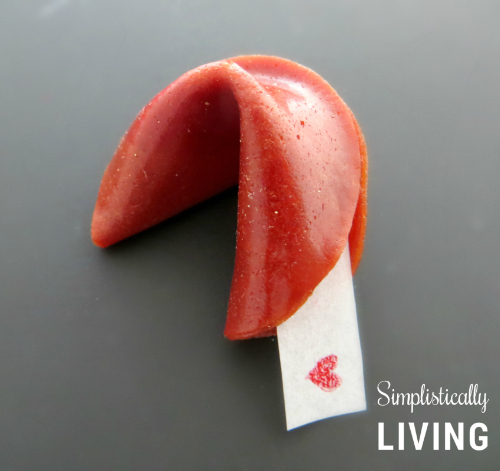 To make things easier for you I have created a Free Fortune Cookie Printable. 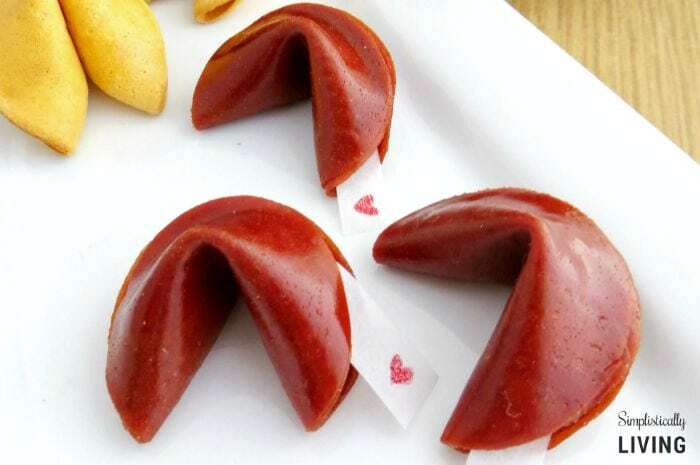 One page is filled with fortunes ready for you to print, cut, and place inside your cookies. The other page is blank so you can fill in your own sayings. I hope you enjoy this fun Valentine’s Day craft as much as I do! 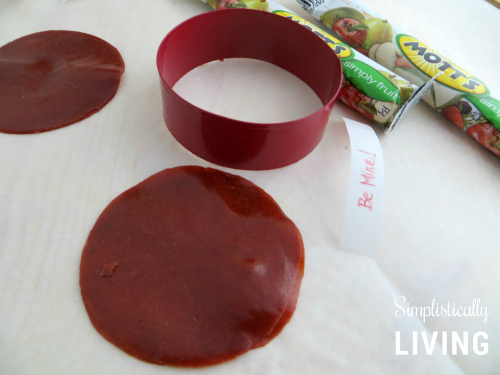 Use circle cookie cutter to cut out two circles from each fruit roll-up – removing scraps. Place two circles together directly on top of each other (they hold together better when doubled). Print out the free printable using the link above and cut out the messages. You can also use a fine point permanent marker to write out your own personalized messages on the blank page within the file. These are for placing into each fortune cookie. Place a fortune in the upper half of the doubled fruit-rollup circle. 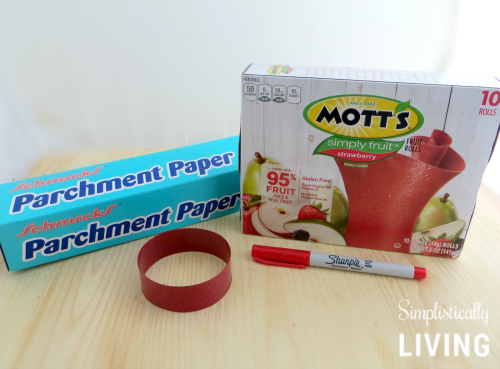 Take the bottom half of fruit roll-up circle and fold it up to meet the top – slightly pinching the ends together so it holds. Keeping your pointer finger in the bottom center of the fruit-roll up, gently fold the two ends down with your thumb and middle finger, allowing both ends to meet. There you have it! You will have your own personalized Fruit Roll-Up Valentine Fortune Cookies. Perfect for eating or boxing up and giving to your sweetheart! These are SO CUTE! I am pinning this! I would love it if you would share this recipe at my new Wednesday linky party, A Little Bit of Everything Linky party, which is hosted Wednesday on Mom Home Guide and on five other blogs!